Exclusive Bonuses and gifts to empower children, help you connect, and help you understand your childs behaviors! 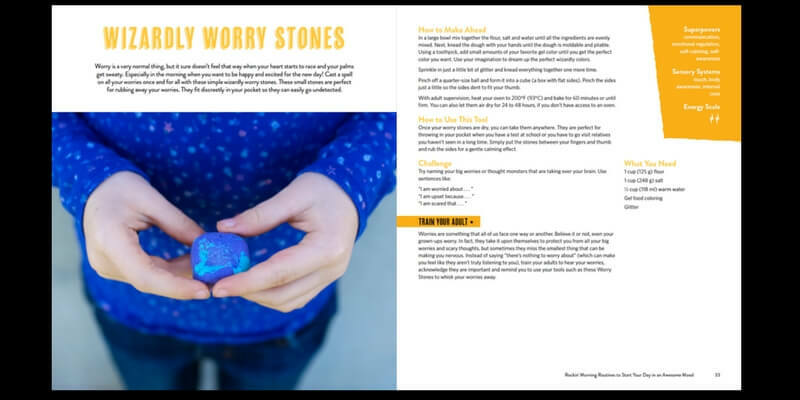 … and I have some exciting calming activities and bonuses (over $50 value for purchasing ONE book) I have strategically put together just for you and your kids! What’s so special about The Superkids Activity Guide? If you have been following me for long, you know that I have made it my mission to help grown-ups see kids differently. Whether it’s a meltdown over socks, or the constant battle to get your kids to settle down and quit moving… I get it. I know the struggle is real and understanding busy, active and growing kids is harder today than it ever has been. The Superkids Activity Guide is the book I wish I had as a kid growing up as a misunderstood superkid myself and the book I knew I needed as a parent and teacher to misunderstood kids for over 20 years. I have combined my extensive knowledge of child development, sensory processing, neuroscience, and parenting and teaching kids that need love and respect. 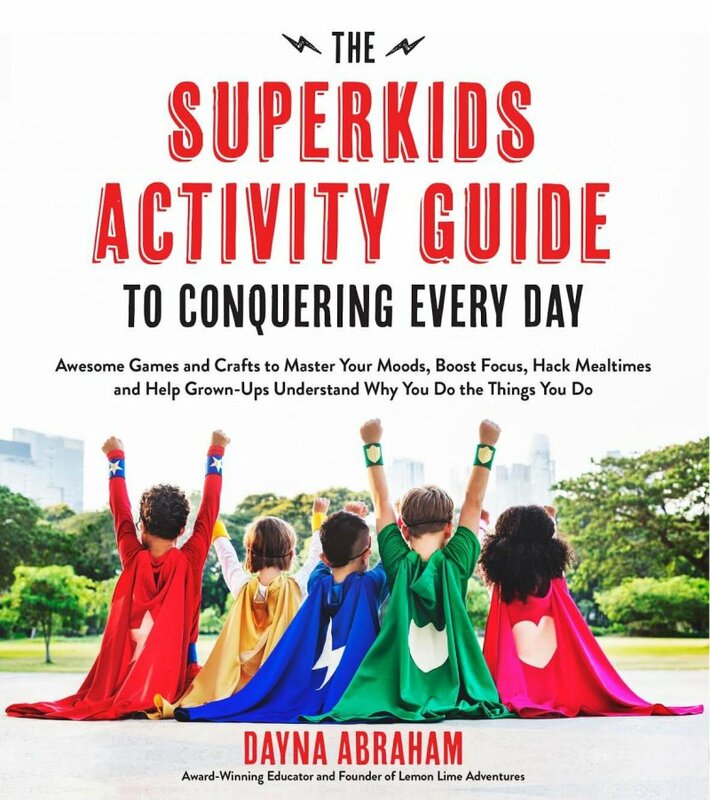 In the Superkids Guide to Conquering Every Day, you won’t just find fun activities to do with your kids or in your classroom. No, instead, I’ve written this book directly to kids and even taken a few fun jabs at the silly things us adults do when we get frustrated with the way our kids behave. Learn along-side your child, as they learn why they do what they do, the science behind it, and simple hacks to making every day smoother and happier. 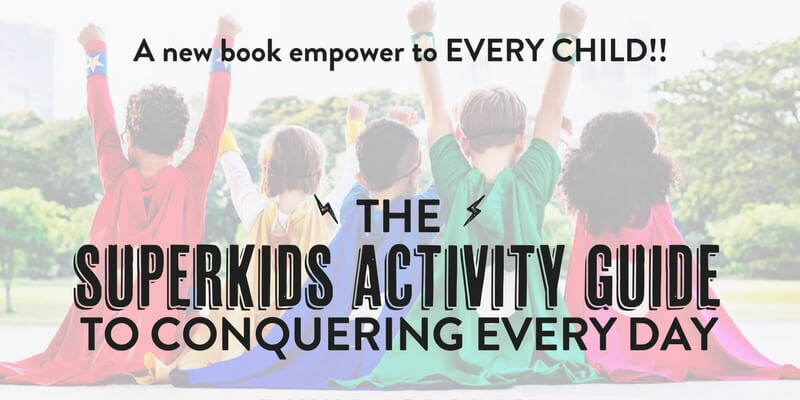 The Superkids Activity Guide is designed to empower children and change the way they see their behaviors and challenges, while at the same time revolutionizing the way adults view the children they love. It’s fresh, new and different and I can’t wait for you to read it for yourself! 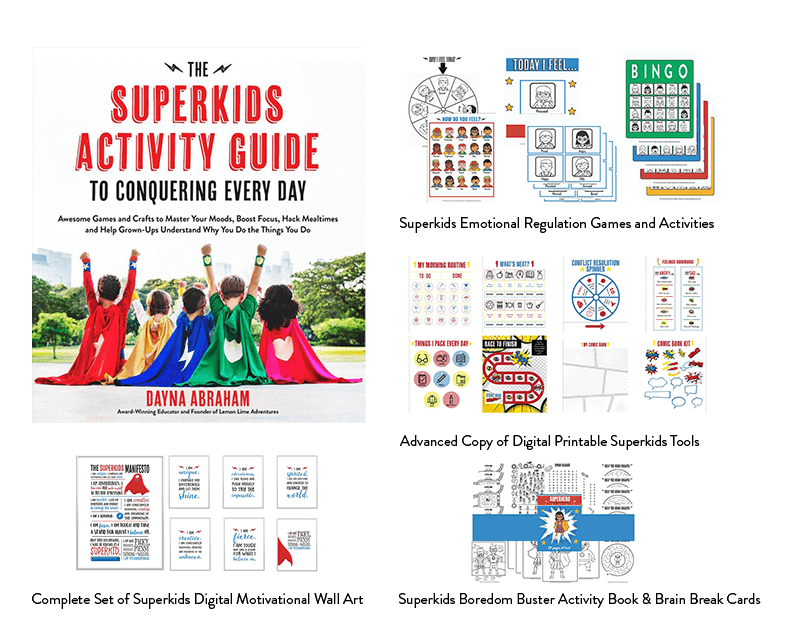 The Superkids Activity Guide to Conquering Every Day has over 75 simple crafts, games and activities divided into six easy-to-digest chapters by the time of day they will be the most useful for you: mornings, wait times, mealtime, playtime, learning, and nighttime. As an example, let’s say your biggest struggle comes in the mornings when you just can’t seem to get yourself or your kids together to get out the door, and it seems all you do is nag, nag, nag. This is the chapter you’ve been waiting for your whole life. Or maybe, you have a very particular eater and almost dread mealtimes with other people because you know someone is going refuse to eat or struggle to sit for the meal. Flip to the mealtime hacks and find some solutions to revolutionize your day and flip those “quit being so picky” jabs into something a little more positive. Whatever your kids’ struggle is throughout your day, I’ve got you covered. By the end of this book, you will help the world will discover your child as a super LISTENER, a super SON/DAUGHTER, a super STUDENT, a super FRIEND and, most of all… they will see themselves as SUPER! Change the way you see the children you love! Parenting and teaching doesn’t have to be a mystery full of nagging, arguments, and constantly repeating yourself. 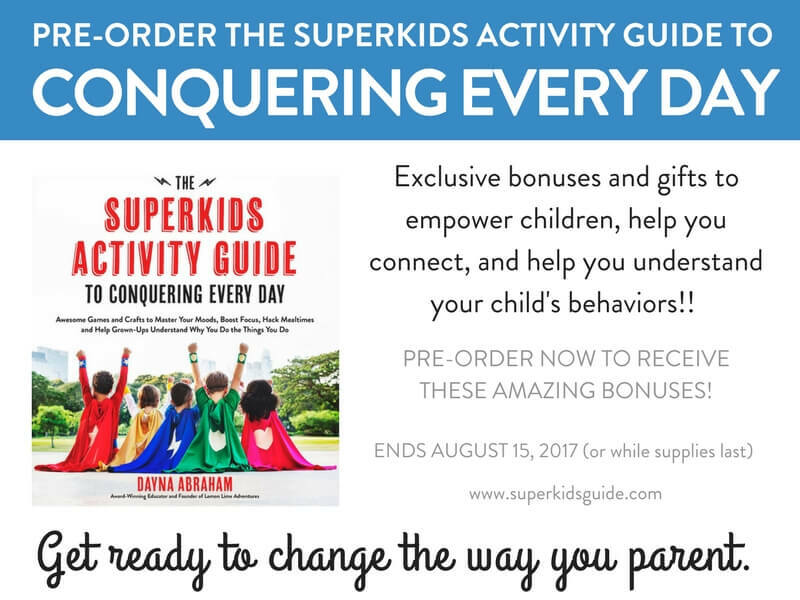 In The Superkids Activity Guide to Conquering Every Day, I will teach your children to embrace who they are and challenge them to stretch themselves in new ways. By teaching children to dig deep, learn how they tick (why they do the things they do), they will learn to show the world the SUPERKID they already are! In fact, in this book, I am going to teach them (and you) how to flip the world’s language and the way it sees children, by giving them a peek into the brains of the grown-ups that love them and the science behind their behaviors. 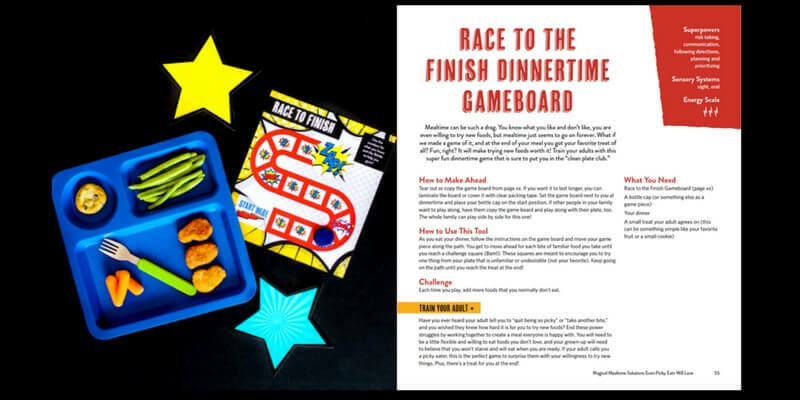 The Superkids Activity Guide is THE guide that will change the way you parent!!! This is so much more than just another book to add to your bookshelf, this book a MOVEMENT!!! I want this book to get into the hands of misunderstood kids and frustrated grown-ups around the world but I can’t do that without you!!! This is more than just an activity book with cute ideas, this is a revolutionary way to look at children’s behaviors and a chance to empower our children of today! 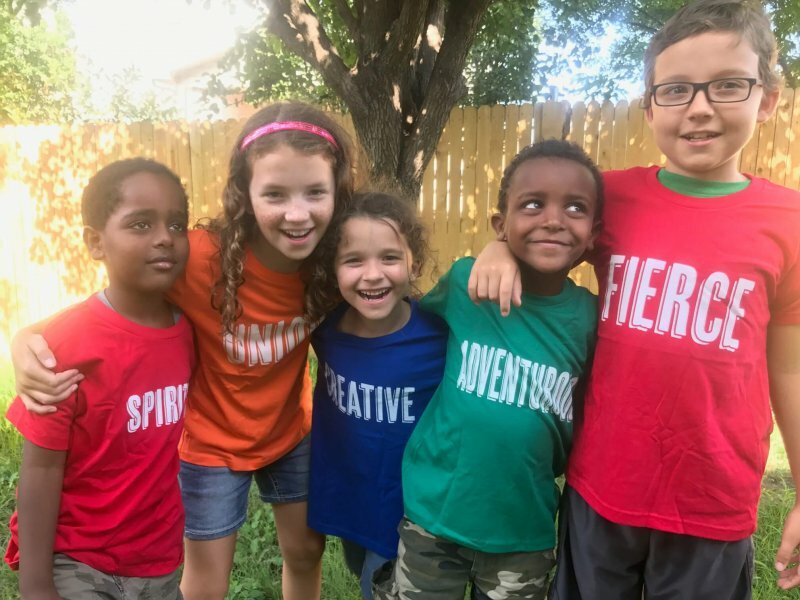 The Superkids Movement is aimed to empower ALL kids to speak up, share their superpowers and learn why they do the things they do so they can advocate for themselves!! The book has a manifesto that I stand behind 100%. 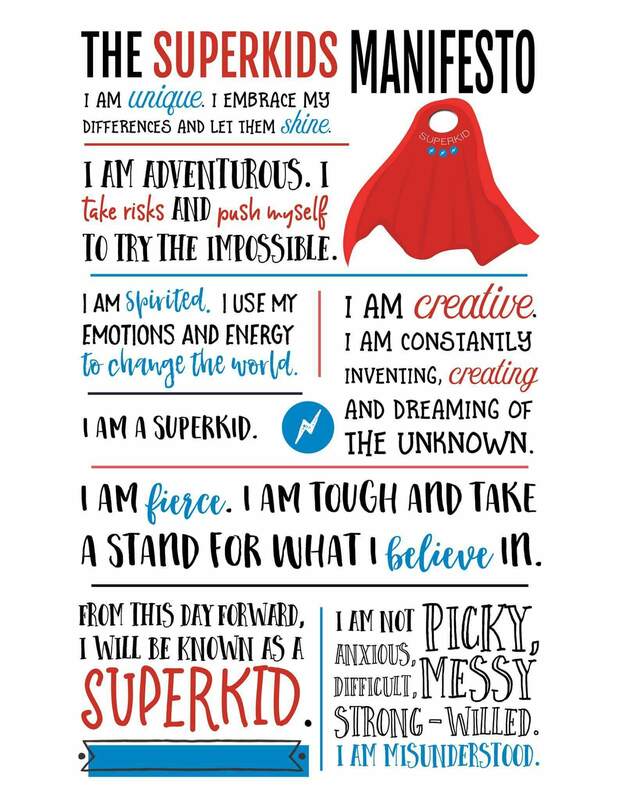 I believe all children should believe these things about themselves and often wish I had believed these things to be true as a child myself. I’ve even made an entire line of shirts to go with the movement and book! In order to make this movement touch every corner of the globe, I need YOU!!! To thank you for joining this movement, I have some fun gifts just for you, worth over $50! Fill out the pre-order bonus form here. Offer good until August, 2017 or while supplies last – don’t miss out! Limit one per person and per household. I purchased preorder but don’t know where to forward my receipt. Please email your receipt to preorder@superkidsguide.com Thank you so much! I have e-mailed my receipt for pre-order to preorder@superkidsguide.com and have not heard or received anything yet? Can you confirm that this is the correct email? Yes! We are saving all the emails and working out the tech kinks. You should hear something this next week! Thank you for your patience! Thank you so much for this! I can’t wait to use it as a parent as well as an elementary school counselor. Thank you so much!!! I can’t wait to get it in the hands of schools too! Please email your receipt to preorder@superkidsguide.com Thank you so much! Let me know if you still have trouble. I just pre-ordered the book from Amazon. How do I access the digital/printable Superkids tools? Exactly how and where do we forward our receipt? I just preordered the book, but there’s no email address to forward the receipt…..
Where do I send the receipt for pre-ordering the book? I’ve ordered the book as I think it will have some great activities in it for our afterschool program and would love the bonus but can’t find a link that works and when I google can’t find anything but to order the book. Thank you for shopping with us. You ordered “The Superkids Activity…”. We’ll send a confirmation when your item ships. Delivery date pending. We’ll email you as soon as we have a delivery date. Please email this to preorder@superkidsguide.com Thank you so much! This will go great with the superhero theme we want to do in our classroom this year! I’m also hoping it has some stuff I can use along with the Zones curriculum my twins who have autism use for self regulation. That is wonderful! Yes, it talks alot about self regulation. Every activity has an energy guide as well as a list in the back of the book of activities by energy level to help with self regulation. Is this offer still available if I order from Amazon.co.uk? Or does it have to be through Amazon.com? In my brief review it seems like this might be more for younger kids. Would a 14 year old relate to the activities? So far the few 12-14 year olds that have seen it, have loved it. The book is written to your child so they might enjoy learning about why they do what they do.